In the past, defendants in murder cases were often able to argue their way to the lesser charge of manslaughter if the killings happened during a "sudden quarrel" or in the "heat of passion," which frequently saw defendants claiming they were so shocked to learn that their victim was gay or trans that they had no other recourse besides violence. The new law clearly outlines that a defendant's discomfort with, suprise at, or fear of a victim's sexual orientation or gender identity may not be used as a legal defense to justify the assault. During the 2011 murder trial of teenager Brandon McInerney for the killing of classmate Larry King, McInerney's defense team cited King's supposed flirtation with McInerney as justification for the youth's death. As a result, a mistrial occurred, and McInerney struck a deal with prosecutors in which he would plead guilty to second-degree murder and voluntary manslaughter. He was sentenced to 21 years in prison. In 2002, defense lawyers in the murder of transgender woman Gwen Araujo offered up a "panic" defense, stating that their clients were initially unaware of the fact that Araujo was transgender. Araujo was beaten to death by a group of men. Two of these men were convicted of second-degree murder, and were sentenced to life in prison. Two others pleaded guilty to lesser charges. In the wake of Araujo's death, the state legislature added a requirement that juries must be instructed against basing their verdict on personal bias against a victim. While an outright ban on such defenses were considered, lawmakers didn't have the necessary support at the time to pass such legislation. In addition to signing this bill, Gov. 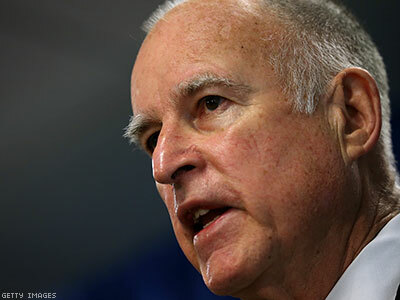 Brown also signed into law a number of other landmark bills, including the a bill helping transgender people recieve accurate death certificates known as the "Respect After Death Act," and the "Yes Means Yes" affirmative consent law, designed to address the rising number of sexual assaults occurring on college campuses.